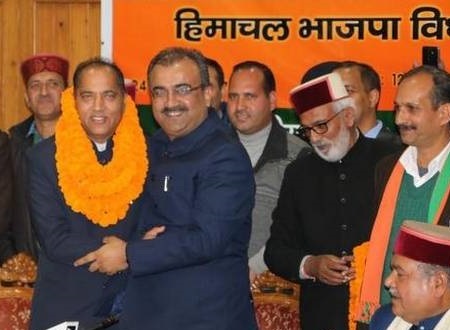 Five-time legislator Jairam Thakur will be the new Chief Minister of Himachal Pradesh, BJP lawmakers decided after a meeting to pick their chief, attended by the party's Central observers Nirmala Sitharaman and Narendra Singh Tomar. He will take oath on December 27, the BJP has announced. The 52-year-old, who represents Seraj, a constituency near Mandi, had earlier been the party's state unit chief and a minister in a government headed by Mr Dhumal. The Chief Minister-designate Jairam Thakur said that he will do his best to come up to expectations of people in the state.